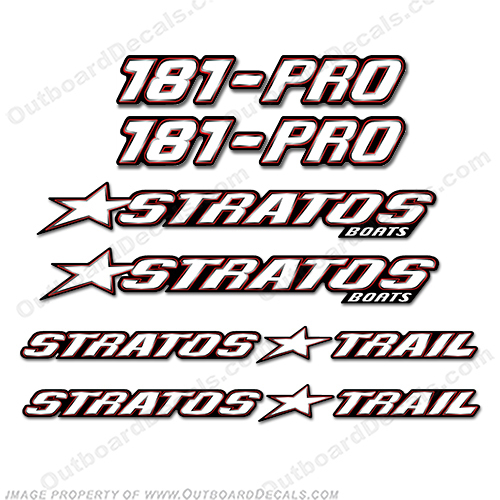 - (2) "Stratos Boats" Decals measures 21" Long. - (2) "Stratos Trail" Decals measures 24" Long. - (2) "181 PRO XL" Decals measures 24" long.